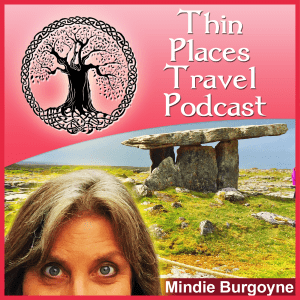 The Thin Places Travel Podcast features guests and commentary on travel to mystical sites that have a strong spiritual energy. These are sacred sites with a high energy vibration mostly in Ireland, Scotland, England, Wales and Brittany, France. Thin places are sites where the veil between this world and the eternal world is thin. Travel to thin places can not only be spiritually enriching. In some cases, it can be life-changing. Sites featured in this podcast may be ancient ritual sites, stone circles, monastic ruins, holy wells, fairy trees, sacred mountains, enchanted lakes or sites of memory – where something charged with human emotion occurred (battle, famine, graveyard).